Lionsgate has debuted the new Power Rangers trailer, which you can check out in the player below! Underneath, you’ll also find the new TV spot for the film. 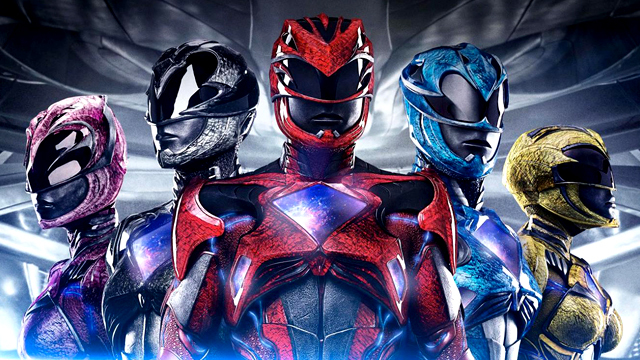 The Power Rangers cast includes Dacre Montgomery (A Few Less Men) as Jason the Red Ranger, RJ Cyler (Me and Earl and the Dying Girl) as Billy the Blue Ranger, Naomi Scott (The 33) as Kimberly the Pink Ranger, Becky G (Empire) as Trini the Yellow Ranger, Ludi Lin (Monster Hunt) as Zack the Black Ranger, with Bill Hader (“Saturday Night Live) voicing Alpha 5, Bryan Cranston (“Breaking Bad,” Godzilla) as Zordon, and Elizabeth Banks as villain Rita Repulsa. Directed by Dean Israelite (Project Almanac), Power Rangers is written by John Gatins (Kong: Skull Island, Real Steel), Burk Sharpless and Matt Sazama (Dracula Untold), Zack Stentz and Ashley Miller (X-Men: First Class, Thor), and Max Landis (Chronicle). Producers are Power Rangers creator Haim Saban, Brian Casentini, Wyck Godfrey, and Marty Bowen (The Twilight Saga, The Fault in Our Stars, The Maze Runner franchise). Power Rangers is coming to theaters on March 24, 2017.